In our contemporary era, the advocacy for culture has been articulated over many fields. Within the era of late capitalism culture is now heavily incorporated in regeneration and image(re-)making strategies of cities. The European Capital of Culture (ECOC) programme has become to serve as a catalyst for urban regeneration goals in cities. Among them, Istanbul is going to be an ECOC in 2010. 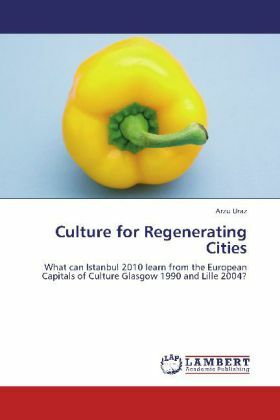 By that time, Istanbul has a long way to learn from former ECOCs to understand the phenomenon and practice of culture-led strategies in urban planning and development. It is crucial for Istanbul to sustain the long-lasting impact for continuity. The thesis is based on three pillars. First, it examines why cities pursue culture-led strategies in urban regeneration and how culture can contribute to urban regeneration in social and economic terms. Second, it finds out what academics, local authorities and Istanbul 2010 actors can learn from the highly debated cases of Glasgow 1990 and Lille 2004. Third, the theory and analysis of case studies of Glasgow and Lille offers projections for the Istanbul 2010 event and open space for future research on the challenges.